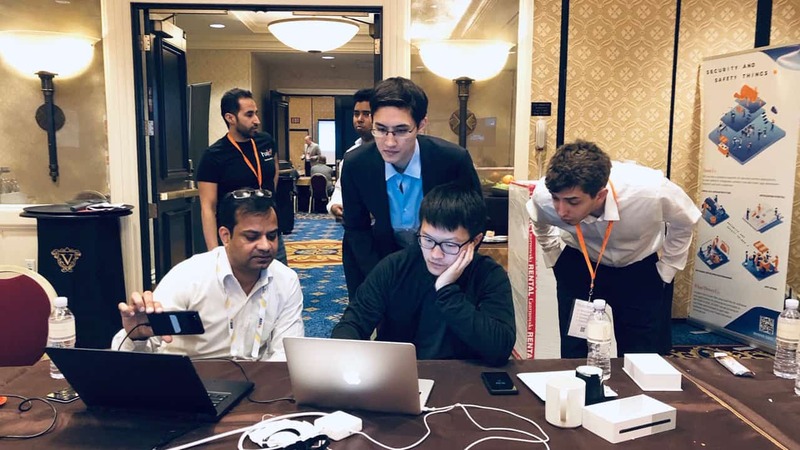 Security and Safety Things (SAST) recently hosted the first-ever live hackathon at ISC West on April 10 and 11 in the Sands Expo Center, Las Vegas. The two-day event featured three teams racing against the clock to create the most deployable application for an American football stadium using the new Security and Safety Things system, SAST OS (Operating system). Teams were provided with Google Pixel phones, reference cameras and appropriate APIs and development kits, including a video API, control API and a web server API. From there, they were tasked with developing creative solutions that would inspire new use cases and generate business insights through the use of SAST OS. Submissions were reviewed by Jim Coleman, Convergint; Staffan Grundström, Securitas; and Markus Berger-de León, McKinsey & Company. The goal of the challenge was to develop apps, but also to show the industry how easy apps and solutions can be developed using SAST OS. Furthermore, the hackathon provided valuable feedback that will impact future development of SAST OS and the software development environment. SAST believes that the ecosystems and framework they have created will soon be a powerful standard for developers, integrators and hardware manufacturers alike. The hackathon showcased the ease of use of the system overall and will act as a starting point for future innovations and developments.